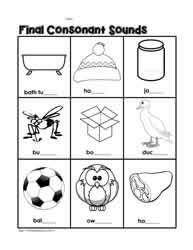 Phonics worksheets for the final consonants. 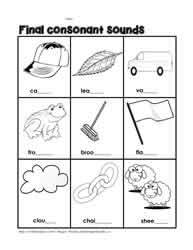 Letter sounds. 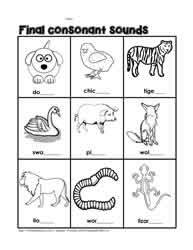 First grade phonics.